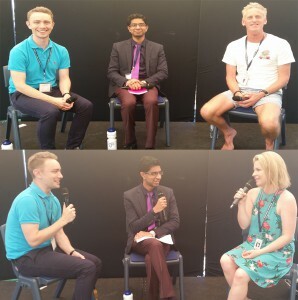 For the third batch of interviews from the Somerset Celebration of Literature, Joel and Ian talk to Mark Smith and Emily Gale. Mark Smith released his debut novel, The Road to Winter, last year. His writing has won a number of awards and has appeared in Best Australian Stories, Review of Australian Fiction and the Big Issue. Emily Gale is a junior and YA fiction author who has been in the children’s book industry for 2-0 years. her latest novel is called The Other Side of Summer.